Tennis Federation confirms Team Nigeria for Top 16 Cup in Kenya – Royal Times of Nigeria. 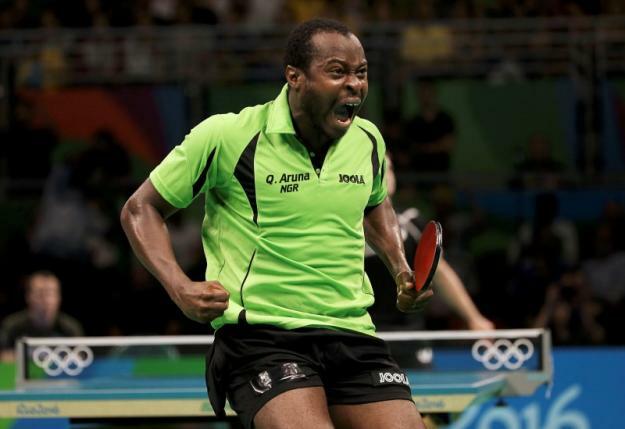 African champion, Aruna Quadri, will be leading a four-man Nigerian team to the International Table Tennis Federation (ITTF) Africa Top 16 Cup holding in Nairobi, Kenya in March. The Nigeria Table Tennis Federation (NTTF), in a statement today said the ITTF has confirmed the country’s participation in a letter to it. Seven-time Olympian, Segun Toriola, will be campaigning in the men’s singles alongside Quadri, while Olufunke Oshonaike and Edem Offiong will fly Nigeria’s flag in the women’s singles. Also, the world body has confirmed the Egyptian team’s participation in the three-day tournament. Africa’s highest-ranked player who just joined Borussia Dusseldorf in the German Bundesliga, Omar Assar, will lead the North African side to the championship. Meanwhile, the women’s singles defending champion, Egypt’s Dina Meshref, will be joined by Farah Abdel-Aziz in the event. Only Nigeria and Egypt have four players representing them. Tunisia, Morocco, Congo Brazzaville, South Africa, Ghana, Mauritius, Botswana, Cameroon, Congo DRC and hosts Kenya have either one or two players representing them. According to ITTF, the players confirmed were selected based on their continental ranking. NAN reports that the tournament serves as the continental qualifier for the 2018 ITTF World Cups. The winners in the men’s and women’s singles will represent Africa at the ITTF World Cups later in the year.